From the moment The CW announced plans to attempt to spin off The Vampire Diaries via a backdoor pilot centering on the Originals, its pickup has essentially been treated like a done deal. The Vampire Diaries—despite naturally losing some steam as the show ages—is still The CW’s premier property, garnering respectable ratings (by CW standards, at least), copious online buzz, and a sustained, fervent fan base. A sister show focusing on the Originals, one of the most significant aspects of the show for the past two seasons, feels like a financial no-brainer. The one question that’s been severely underrepresented in the buzz surrounding The Originals is whether the show should spin off these characters. The Originals are inextricably linked to the narrative developments of the past two seasons of TVD, but at times, that inextricability came with a price, often miring the show in a byzantine mythology that sucked out a lot of the breathless spontaneity that made the series so fun in its first two seasons. 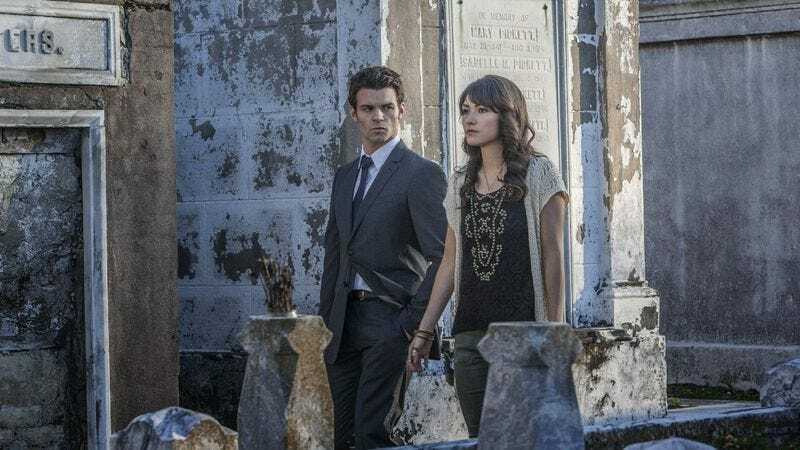 The good (Joseph Morgan’s performance, everything Elijah does ever, Rebekah’s surprisingly compelling fragility) has long been overshadowed by the bad (Klaus’ frustrating invulnerability and increased toothlessness as a villain, the overwrought extended family dynamics, Kol and Finn) with the show giving no indication of shuffling this increasingly depressing status quo. Until now. There are certainly arguments to be made why the Originals shouldn’t take a backseat in Mystic Falls, but in my opinion, shaking the narrative dust off of TVD isn’t only welcome; it’s imperative for the show’s survival. The only stumbling block to this happening was if there wasn’t enough substance to make spinning off the Originals make sense, and let me be the first to say that definitely is not the case. If The Originals’ goal was to announce its presence to the universe with gusto, this episode was certainly the one to do it. The setup for the spinoff is hasty yet logical within the show’s universe: Katherine finds out a secret about Hayley, one big enough to lure Klaus away from Mystic Falls (and distract him from wanting to murder her) for good. She doesn’t just do this halfheartedly, because she’s Katherine, and Katherine always has a plan. Instead, she teams up with some New Orleans witches hell-bent on driving vampire king Marcel—Klaus’ sire and former best friend—out of the city. 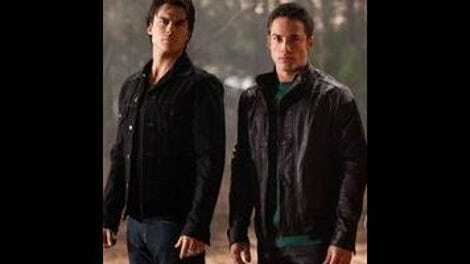 All they need is Klaus’ help. But this is where things get complicated. If there’s one thing Klaus cannot handle, it’s not being the center of attention, the most adored, the most feared, and this is where the central conflict of the show arises. Klaus used to be the king of New Orleans. He made Marcel, and now Marcel isn’t willing to just step aside and let Klaus pick up where he left off. Marcel enjoys being king. He revels in it and is anything but afraid of Klaus. As we all know, Klaus needs to be feared like he needs to breathe (or not breathe; they’ve never been fully clear on how that works). So Klaus? Klaus is going to stick around, and he’s going to be king again, no matter what it takes. This might be enough to stake a show on, but The Originals isn’t done yet. The main focus of the Originals has always been family, and the writers bring that family theme in here in the most unlikely way possibly: via supernatural pregnancy. The revelation that Hayley is pregnant with Klaus’ child (remember their hot little dalliance a few episodes back?) is the kind of jaw-dropping twist TVD has been pulling for years, and the show makes it known here that The Originals isn’t going to be any different. By giving Klaus a potential child, the show is staking its claim to the family theme in big, bold letters and also giving a reason for fellow Originals Elijah and Rebekah to come along for the ride. It’s a shocking development, yes, but the big question is this: Is a supernatural pregnancy the best or worst plot point to introduce in the very first moments of the spinoff? Personally—and this is just going on gut feeling, which is basically all we have at this nascent point in the narrative—I think it’s ridiculously fun. The show needed a reason beyond Klaus’ insane quest for power to keep him in New Orleans, and they needed a reason for the Mikaelson family to want to join him, and this takes care of both of those issues very quickly. It’s also an immediate plot complication that has emotional and logistical ramifications for everything Klaus does. Look, I have no experience with Twilight beyond laughing at the movies, and I’m that weirdo outlier who loved season four of Angel, so my experience with supernatural offspring isn’t riddled with bad experiences. All I know is I cackled with glee at the revelation, clapped my hands, and wondered just how the hell the show was going to pull this off without miring everything in a soapy swamp. That, to me, is good, fun television, and it’s a path I’m willing to travel down with the show if it gets picked up to series. Could it be the show’s albatross? Sure. But it could also be great. Despite any questions about the efficacy of Hayley’s pregnancy, what struck me most about this episode was just how grown up it felt. Without the love triangle and vestiges of high school, this feels like an entirely different, more mature world, and one I’d be happy to spend more time in. Especially pleasant is the portrayal of witches as more than just disposable vampire puppets. The witches in New Orleans might be controlled by Marcel, but they are fighting back. That’s a conflict far more interesting than pretty much anything poor Bonnie has done in four seasons. Strangely, though, one of the only things I didn’t care for in the episode was Katherine, which was definitely a first. Katherine, freed of her worry about Klaus, spends most of her time here being far too self-aware about her own faults and lovesick for Elijah. I can’t remember anything as jarring as hearing Katherine Pierce self-diagnose her bad deeds as symptoms of her being alone and hating it. She might have these issues but I can’t believe she would admit it to anyone else, particularly in the matter-of-fact way she does it. Katherine Pierce: Badass is far less fun when she’s delineating the pathology behind her own misdeeds. Still, this is a slight misstep in what was, to me, a resounding success of a backdoor pilot. If the goal of these is to test if the premise is viable, the audience’s interest is piqued, and the series has legs, this episode definitely proved all three. Now it's just time to wait and see if The CW agrees. Hey, Elena was in this episode too! The New Orleans action was so exciting I almost forgot about her. It seems Stefan and Damon have reached the torture portion of retrieving Elena’s humanity, which should certainly be interesting next week. Elijah still knows how to make an entrance, this time taking out two vampires (with one heart rip!) who were poised to hurt a mischievous witch. Cami the wise bartender was a bit shoehorned in here, but the character has potential. It was nice to have Klaus talk to someone with no baggage involved for once, that’s for sure. New Orleans was looking very good here, and the show did a very good job of making it feel alive and populated in a way Mystic Falls never gets to be. I hope it will be able to keep up with location shooting if the show gets picked up.